With 160 candidates running for alderman, the Chicago City Council could be seeing a major makeover in May. In Chicago’s 14th Ward, the incumbent has been charged with corruption and is still in the running. In January, Ald. Ed Burke was charged by federal prosecutors with one count of attempted extortion in connection with a fast food restaurant in his ward. He denies any wrongdoing. Despite some calls for his resignation, the 75-year-old power broker is determined to continue on in the post he’s held for half a century. Nevertheless, Burke stepped down from his position as Finance Committee chairman and overseer of the city’s controversial workers’ compensation program following his federal charge. Burke’s two opponents, Jaime Guzmán and Tanya Patiño, are a reflection of the 14th Ward which is now majority Hispanic. But whether the incumbent’s legal problems, which are likely to intensify in the coming months – if not weeks – sway voters toward his Latinx challengers is one of the big questions of this election. In the neighboring 13th Ward, the political and personal intrigue is probably the highest in any on the 50 contests in the city. 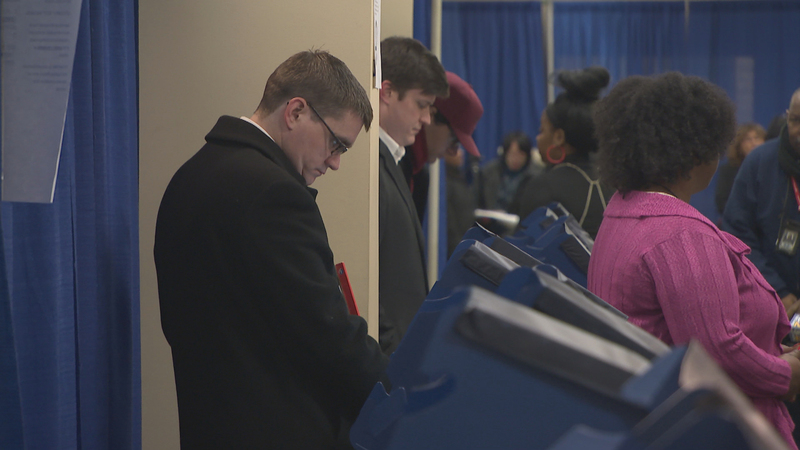 The race is between two-term incumbent Ald. Marty Quinn and 19-year-old DePaul University student David Krupa. Quinn is the brother of Kevin Quinn, a former aide to House Speaker Michael Madigan who was accused by a female political consultant of harassing text messages. She says she reported the harassment to her political mentor Marty Quinn, who, she says, did nothing about it. But Quinn claims he approached his brother immediately and told him to stop the harassment. Marty Quinn also came under fire for alleged ties to supposedly fraudulent petitions trying to get his opponent off the ballot. As for Krupa, a report this weekend in The Gate, a publication by University of Chicago undergrads, says he allegedly admitted to the president of DePaul’s College Republicans that a former girlfriend accused him of sexual and emotional abuse and filed a restraining order against him. Krupa denies the allegations, and while that restraining order was vacated last year, 13th Ward voters face a tough choice between two candidates under the cloud of controversy. In the 44th Ward, it’s a a David vs. Goliath contest, though Goliath is not on the ballot. Rather, it’s the Ricketts family, owners of the Chicago Cubs who are trying to unseat the incumbent Ald. Tom Tunney in an effort to try to get a more Cubs-friendly alderman in place. Tunney has been instrumental and largely effective in pushing back against some of the Ricketts’ extensive and expanding plans for the Wriglyeville neighborhood. Last year, voters in the 44th Ward began receiving anti-Tunney mailers from a group called Neighbors for a Better Lakeview, which Crain’s Chicago Business revealed was being funded by the Ricketts. Tunney faces a challenge from Austin Baidas who worked in former Gov. Pat Quinn’s administration and has admitted to Crain’s Chicago Business that he is friends with Laura Ricketts. The other candidate is Elizabeth Shydlowski, a business consultant who has received sizable donations from the Ricketts. But Tunney still has ample support in the Wrigleyville and Boystown communities. There are two wards almost as crowded with candidates as the mayoral field – nine candidates running in each: the 47th Ward, where incumbent Ald. Ameya Pawar is now running for city treasurer; and the 20th Ward, where the incumbent Ald. Willie Cochran is facing federal criminal charges. The 20th Ward has a checkered history with two previous aldermen, Arenda Troutman and Cliff Kelley, who were convicted of corruption and sent to prison. The 20th Ward is also in close proximity to the proposed Obama Presidential Center. If the project gets built in Jackson Park, many low-income residents in the 20th Ward could feel, among other things, the repercussions of rising rents, which many are already seeing. The aldermen in the 22nd and 25th Wards are retiring, but both men are facing legal woes. 25th Ward Ald. Danny Solis has not been seen at City Hall for weeks after it was revealed he was the FBI mole who wore a wire against Burke. Solis may also be under FBI investigation. And 22nd Ward Ald. Ricardo Muñoz was recently accused by his wife of domestic abuse going back years. Muñoz has admitted to being an alcoholic in the past, and recently he was reportedly back in rehab. The two Latinx wards they lead have between them nine Lantix candidates vying to set a new course for their communities. Join us for complete coverage of the election – including live election results – Tuesday night.